It’s a decade-old story written along New Jersey’s Hudson River Gold Coast. Urban revitalization from Bayonne to Ft. Lee has brought upscale residential high rise buildings to City skylines and chic boutiques, restaurants and nightlife to bustling downtown districts. Cities such as Hoboken, Jersey City and Edgewater have emerged as a popular destination for homebuyers from Manhattan and Brooklyn who cross the river for lower prices and a high commutability factor. The residential boom taken place over the past ten-plus years has, however, separated itself from one very important buyer segment – the first-time purchaser. The National Association of Realtors forecasts more buyers entering the market in 2015 driven by an improving labor market and historically low interest rates. First time buyers have historically made up 40% percent of home purchases. And while that percentage dropped to 33% in 2014, it’s expected to rise next year as Millennials, often referred to as the “rent” generation, have been changing their attitude towards homeownership and opting to benefit from a favorable buying climate to become homeowners. “This is an ideal environment for young purchasers and the time to act is now,” says financing expert Rolan Shnayder of H.O.M.E Mortgage Bankers, an active lender in Bergen County. “Interest rates can’t go much lower than they currently are. As the economy continues on a path to recovery and government stimulus on mortgages expire, rates are likely to rise before too long. In the new construction market, many developers are offering packages which lower downpayments and make the initial investment more affordable. In fact, a recent report by real estate website Trulia found that homeownership is 24% cheaper than renting in the New York City area and 38% nationwide. This is further strengthened by the decade low mortgage rates and financing programs that lower initial investment. 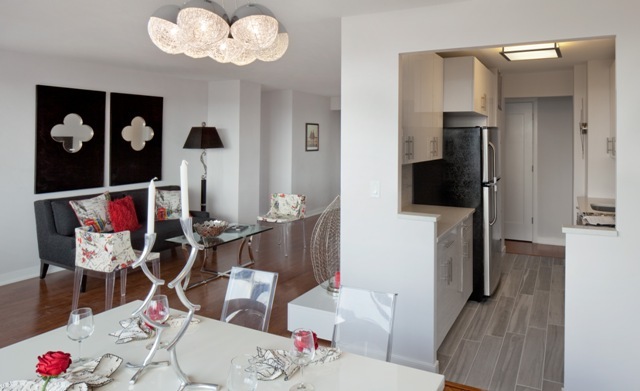 The Lenox in Union City, N.J. offers upscale condos minutes from Manhattan. The question is where should these single-professionals, young couples and families turn? The surge in popularity of the Gold Coast Cities of Hoboken, Jersey City and Ft. Lee has left a dwindling inventory of homeownership opportunities that are within the budget of first-time buyers seeking an upscale urban lifestyle and ease of commutability. A similar situation exists in Bergen County, N.J. An increase in the number of young families and single-professionals entering the buying game has left a crowded field with few affordable for sale homes near the waterfront. “Opportunities to purchase a brand new residence in the Ft. Lee market are limited with the majority of new construction buildings in the Borough such as The Modern, Hudson Lights and Twenty50 offering only rental homes,” says Ann K. Lee, a real estate agent with Eastern International Realty in Ft. Lee. 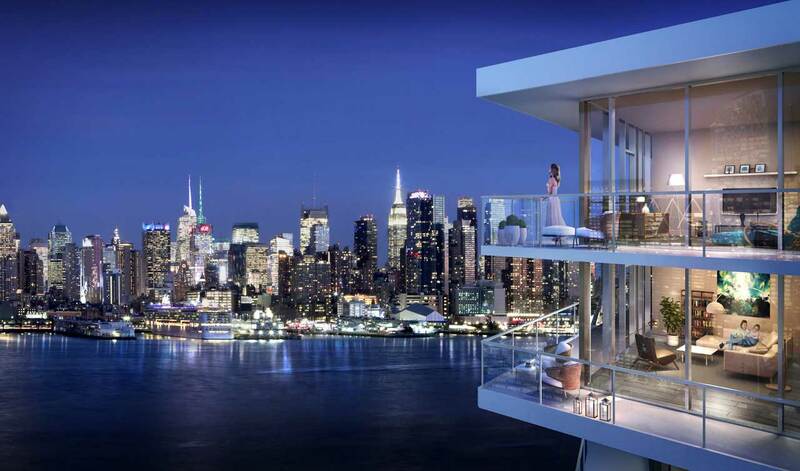 High process and lack of inventory has led to an expansion of the Hudson River “Gold Coast” into western neighborhoods that provide affordable luxury, lower housing prices and similar public transportation access to Manhattan. Many of the new communities in Cities just off the riverfront provide the perfect buying environment for those looking to purchase their first home in terms of affordability, space and commuter convenience. For example, Ms. Rivas has completed several sales at The Lenox on Central Avenue in Union City which has drawn the attention of young professional homebuyers from New Jersey and Manhattan to Brooklyn and Queens. 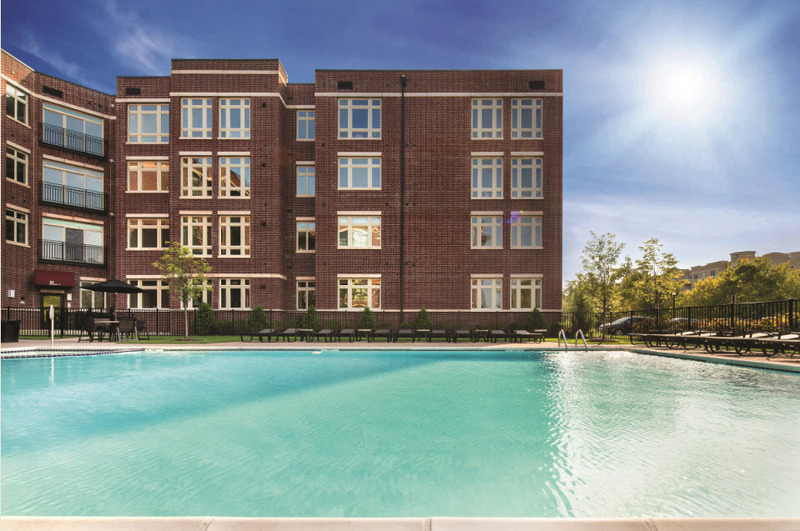 The Lenox offers upscale condominiums, Manhattan-style amenities and a convenient location minutes from New Jersey Transit busses to Manhattan. Homes are priced to appeal to buyers currently renting in New York City, Hudson County and beyond with condominiums starting at $179,000. Developed by Sun Equity Partners, The newly-released studios, one- and two-bedroom residences at The Lenox are approved for favorable financing programs offered by the Federal Housing Authority (FHA) that require only a 3.5% down payment, an added benefit for former renters looking to make the move to ownership. The M at Englewood South located minutes from the George Washington Bridge in Bergen County has also seen the need to satisfy the growing number of young buyers and work to carefully craft programs aimed at make homeownership more attainable, Mr. Shnayder points out. The M at Englewood South in Bergen County, N.J. The M at Englewood South has been designed to add value in a market dominated mainly by high-priced rentals and older, expensive single-family homes. The community offers well-appointed condominiums priced from just $300,500 and limited-time Fall incentives that provide up to $10,000 off the purchase of a one-bedroom home and up to $20,000 off when buying a two-bedroom condominium.